At the annual championship event of the Ironman triathlon season, over 2,000 of the world’s most elite athletes converge on Kailua-Kona. For the entire week leading up to the event, the normally lazy ocean-side town is abuzz with activity: vendors from around the world are selling or debuting the most cutting-edge racing gear and recovery technology, streets are blocked as podiums and scaffolding are erected, and six-foot tall European supermen and superwomen are running through the streets at impossible speeds. Race day is by far the largest and busiest event of the year. The streets are packed, with everyone vying for the best view of the starting line and transition points. 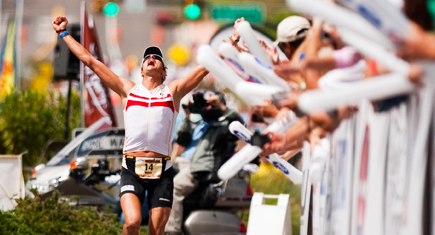 The Ironman experience is certainly not for everyone — and it is easy to avoid if you prefer — but if you are willing to join the fray you can get swept up in the excitement of the race and experience Kona in a way that you would not be able to at any other time of year. Stroll is mellow. While it can get busy, it has the same vibe as a neighborhood block party. 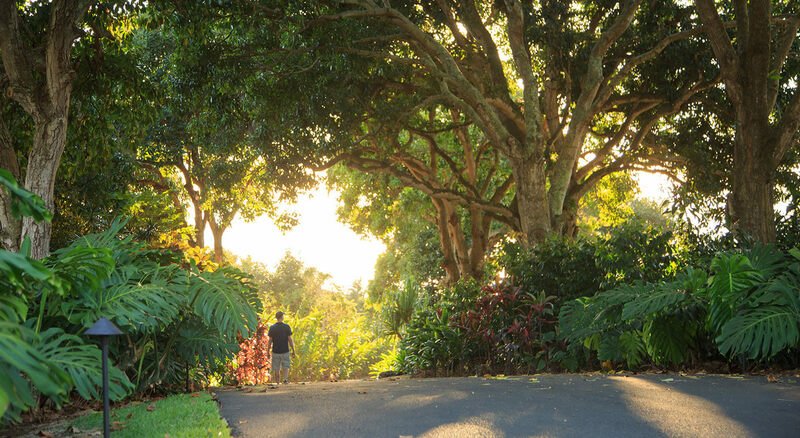 All of the art galleries in the sleepy little mountainside town open their doors at the same time, and vendors line both sides of the road to sell food and sample Kona Coffee. Your best chance to get over-caffeinated during your stay, the stroll features a “people’s choice” Kona Coffee tasting competition. 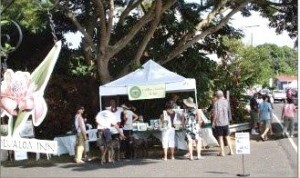 Over 30 vendors set up stations to offer samples of their 100% Kona-grown Arabica coffee. As you stroll the village visiting galleries and enjoying fresh local food, you can make pit stops at each of these stations to sample their brew. Before you leave the stroll, be sure to vote for your favorite! Whether you come for the art, the food, or the coffee, you will definitely enjoy the laid-back atmosphere and talking story with the locals. If you did come for the art, you’ll want to stay for the Hawaii Artist Collaboration Auction. For 4 days each year, local and international artists come together to share ideas and inspiration and work across media to create the pieces that wind up at the auction. Attending the auction is an opportunity to meet these artists, appreciate their work, and fund the next year’s event. All of the proceeds go to support the next year’s Collaboration and the artists who make it happen. 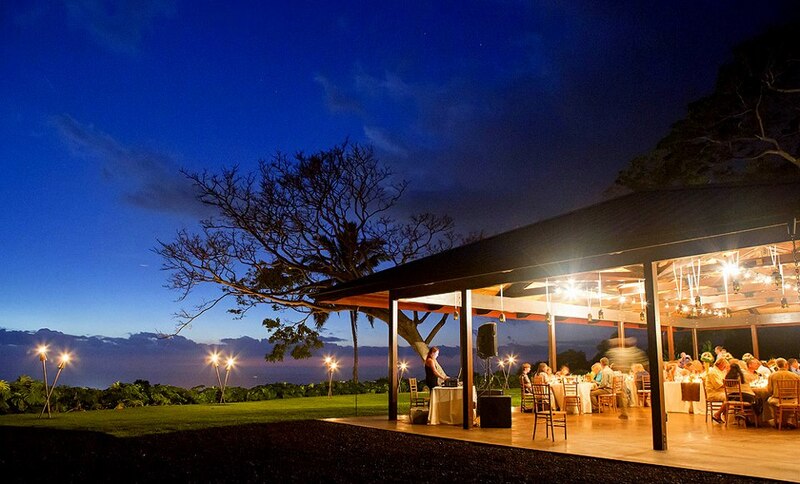 This year’s auction will be held at our very own Malulani Pavilion on the grounds of the our Big Island bed and breakfast from 4:00 pm – 8:00 pm. Click here to book tickets in advance. 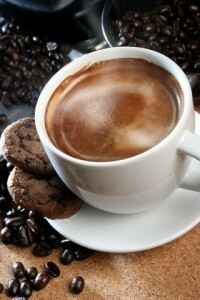 Kona Coffee and our dedicated local coffee growers. The scheduled events include a coffee farm tour, a series of art exhibits, a barista training class, and a half marathon, so there is definitely something for everyone. One of the highlights of the festivities is the KTA Kona Coffee Recipe Contest, to be held on November 11th from 9:00 am – 2:00 pm at the Palamanui Campus of Hawaii Community College. 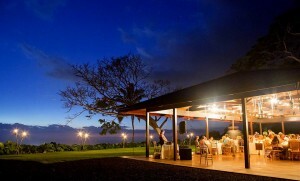 The event features top chefs from around the islands, as well as culinary students and amateur chefs, competing to create the best recipes featuring Kona Coffee. After an awards ceremony, attendees are invited to taste samples of all of the contestants’ entries. The rest of the week is jam-packed with activities, and the festival culminates with a full day of entertainment, performances and events at the Makaeo County Pavilion on the 17th. The ‘Ukulele and Slack Key Guitar Festival features a full extended weekend of performances by Jake Shimabukuro, Jeff Peterson, Sonny Lim, Led Kaapana, Nathan Awaeau, Mike Kaawa and more, and is accompanied by a showcase of locally-built instruments at the Big Island Ukulele Guild Show. This festival celebrates the unique modern musical traditions of Hawaii and the master luthiers who so skillfully craft ukuleles and guitars using the finest local materials. 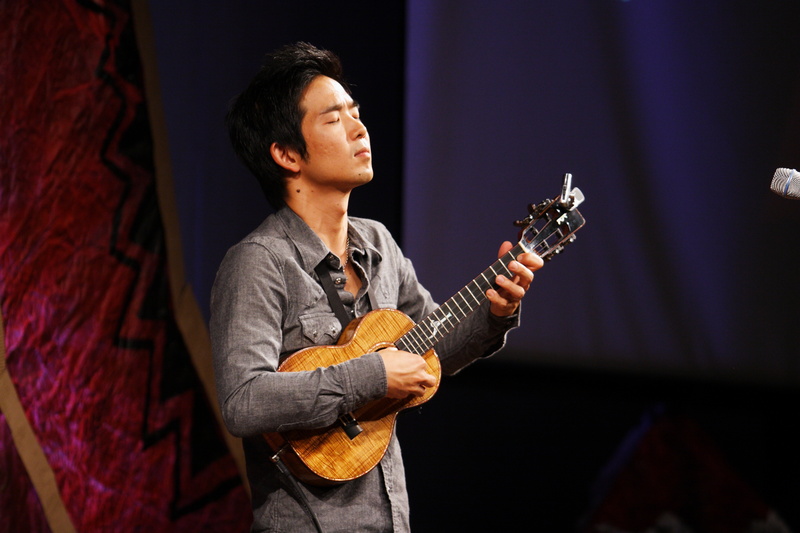 Tickets are available for three nights of music at the Kahilu Theatre in Waimea. For anyone interested in Hawaiian music, or for music lovers in general, this festival is a not-to-be-missed opportunity to see and hear some of the best ukulele and slack key guitar performers play in the islands where these musical traditions were born.